Unexpected gift for any circumstance. Refined package, 24 chocolates hand made with first-rate dark chocolate and our Balsamic vinegar of Modena P.G.I. 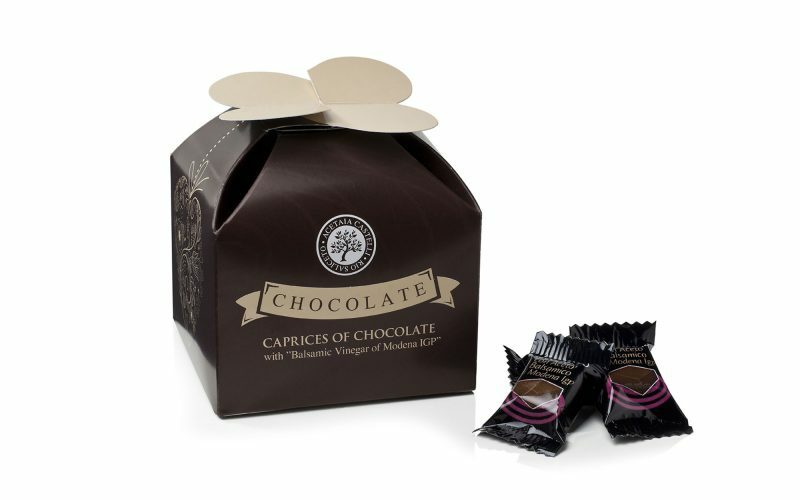 Chocolates are inside a beautiful gift box and wrapped one by one. Perfect as gift for those who appreciate the preciousness of Castelli balsamic vinegar and the pleasure of chocolate.